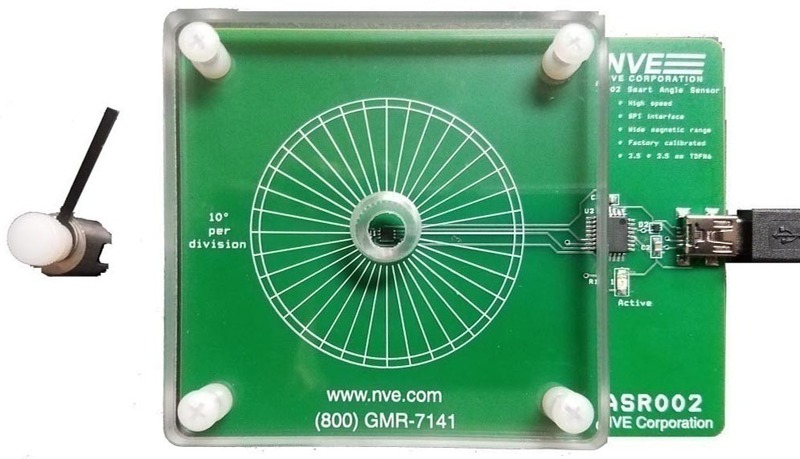 NVE Corporation announced the new ASR002-10E Smart Angle Sensor. 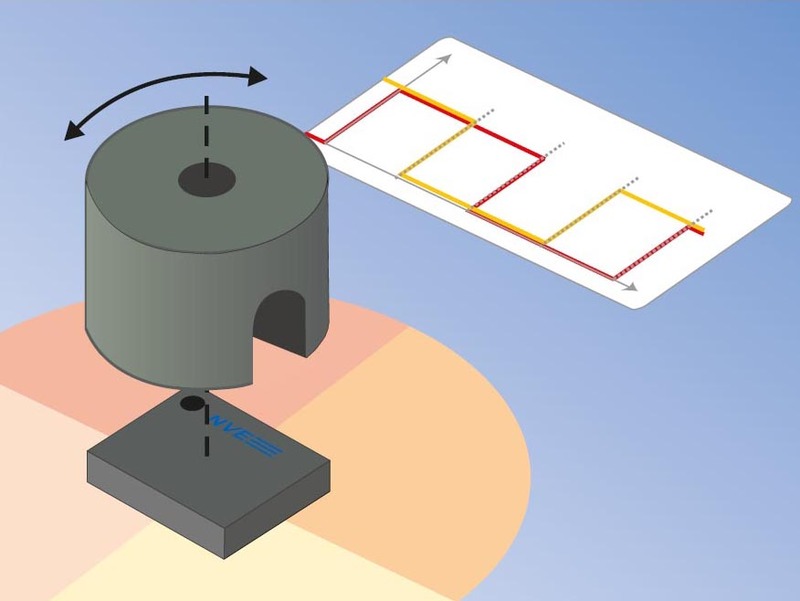 The new sensor combines a unique Tunneling Magnetoresistance (TMR) sensor element with elegant digital signal processing. AG954-07E: ADT002 Rotation Sensor Evaluation Kit. ASR002-10E Smart Magnetometers are priced at $2.22 each in 1000-piece quantities. The AG954-07E Smart Angle Sensor Evaluation Kits are priced at $195.00 each. Sensors and kits are both in stock for immediate delivery.